Kale (pronounced “kayle”), also known as Borecole or BrassicaOleracea, is a green leafy vegetable. It is considered to be a wild cabbage, that comes in green or purple colored varieties. Although available all through the year, kale is widely seen in the market from mid-winter until the spring ends. It is available as dinosaur kale, ornamental kale and curly kale in the market. Dinosaur kale has a sweet taste and comes with blue-green leaves. Ornamental kale has a smooth texture and rich flavor. This form of kale is used in salads and can be differentiated through the color of the leaves. Ornamental kale can have green, purple or white leaves. Curly kale is deep green with fibrous stalk and curly leaves. It has a pungent flavor. Kale is one of the very few vegetables that contain a decent amount of Omega 3 ALA (alpha-linolenic acid). It is rich in calcium, copper, iron, potassium, and also high in Vitamin B1, B2, C, E and K.
It has a high content of beta carotene, lutein and zeaxanthin. Similar to broccoli, Borecole is also found to have anti-cancer properties that help fight cancer by boosting the repair of healthy cells and blocking the growth of cancer cells. Apart from this, kale is also rich in flavonoids that control indigestion, inflammation and stress. It is also known to help lower the bad cholesterol levels. Below are some health benefits associated with kale juice. You can experience these when you include kale in your juice regularly. Bone Health: Kale is a great source of calcium and is a good solution to increase bone density, or simply just for building normal healthy bones. So who says you only get calcium from cow’s milk? Brain Health: Omega 3 in kale helps delay the damage to brain cells due to high blood sugar in people who are diabetic or are obese. Cancer: Kale is found to contain indole-3-carbinol, which boosts the health of DNA and also lowers the growth of cancer cells. Make a juice of kale, with parsley, celery, cucumber, green apples and a slice of lemon for a deliciously anti-cancer green juice. Cholesterol: These green leaves are also found to reduce the bad cholesterol levels. It is even more effective when juiced with parsley, green apples and lemon. Lemon, by the way, helps increase absorption rate of nutrition by up to five times! Detoxifying: Recent studies now recognize kale for its help in the body detoxification system. Isothiocyanates which are found in kale, when broken down to glucosinolates helps to regulate detoxification activities in the body cells. 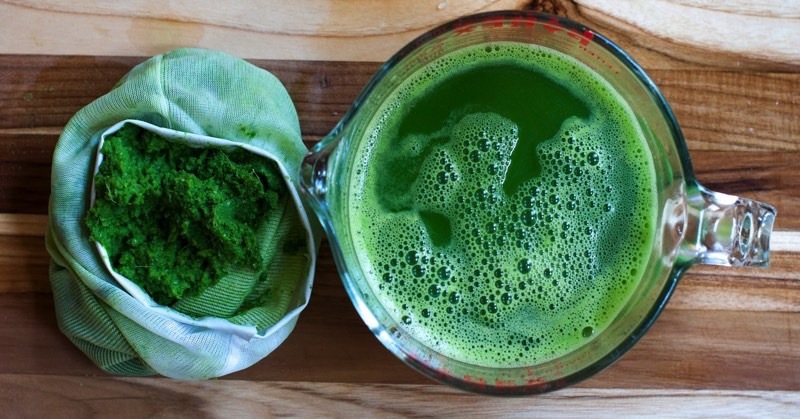 Therefore, a regular intake of kale juice helps our body detoxify at a genetic level. Hemoglobin: The high content of chlorophyll in kale helps to improve the hemoglobin level in one’s body. The chlorophyll molecules are closest to human’s hemoglobin molecules, making it one of the best juices for people who are anemic. Inflammation: Kale juice is highly alkaline, and its high content of vitamin K helps improve blood circulation that is helpful for reducing chronic inflammation in patients. Muscles: One of the few vegetables that contain a decent amount of protein, kale has protein that are better bio-available to the body than compared to meat protein. Certainly a great vegetable to add in a vegetarian’s diet. Skin: Kale is an excellent source of calcium, vitamins A, C, K and phytonutrients, all representing requisite nutrients for good skin health. Kale is also one of the richest sources of lutein, and contains beta-carotene, both improve our skin’s elasticity, firmness and keep it healthy. Vision: Kale contains a high concentration amount of carotenoids (zeaxathin and lutein). Both these ingredients are necessary for protecting our eyes against ultraviolet lights. Due to the high levels of these anti-oxidants, kale juice is helpful in defending the retina against free radicals. Weight Loss: Regular consumption of kale juice can help in weight loss. Drink a glass of kale, green apples and lemon juice daily that helps melt the fats away! Kale is often used for making green juices. It mixes easily with other green vegetables, green apples, carrot (optional, but great for taste!) and a slice of lemon. To preserve kale fresh and healthy for up to five or seven days, store it without washing, in an air-tight bag, plastic or plastic container. Keep in the basket at the bottom of your refrigerator meant for vegetables. 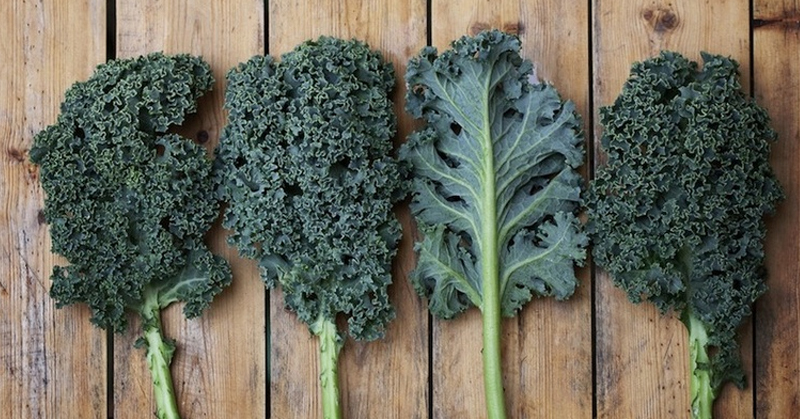 Despite the many health benefits of kale juice, it does contain some amount of oxalates. People with a history of gallbladder or kidney stones should reduce consumption of kale. Some people may experience intestinal discomfort, gas, diarrhea or stomach cramps when initially consuming kale juice. So with beginners, start with small amounts and listen to how your body responds to it. Some people may experience fatigue, muscle weakness or chest pain. This may all be due to a “sudden surge” of “too much of a good thing”, it is called “healing reaction“. Kale juice is very potent and detoxifying, thus causing these reactions as it transports toxins in the body to be eliminated. When a healing reaction happens, drinking a large glass of pure drinking water will help to relieve the condition. Due to the curly texture of kale leaves, aphids (little spiders/bugs) have been known to cling on to the underside of the leaves. Do check your kale BEFORE you buy them. If you’ve already bought them and THEN find the aphids, soak them for 10 minutes in a bucket of water with some vinegar and sea salt. Then wash them off under running water, wiping them off with a clean cloth. Be very thorough in cleaning them. You don’t want to include the aphids in your food!